We’re so happy that you are considering IU Northwest. As a first step in the financial aid process, must complete the Free Application for Federal Student Aid (FAFSA). This important document collects your financial information to determine your eligibility for student financial aid. It will take you about 30 minutes to complete the form. If you complete the FAFSA by April 15, your IU Northwest financial aid notification should arrive by June. Please note you must apply for admission by June 1 to certain scholarship deadlines. Great news! 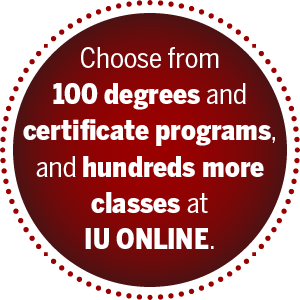 IU Northwest offers scholarships for transfer students from any school. In addition, special scholarships are available for Ivy Tech Community College transfer students. To apply, students must complete a Transfer Scholarship Interest Form. Transfer students must also complete the Free Application for Federal Student Aid (FAFSA). This important document collects your financial information to determine your eligibility for student financial aid. It will take you about 30 minutes to complete the form. We’re happy to welcome you back to IU Northwest! When you apply for readmission, we will evaluate your previous Satisfactory Academic Progress (SAP). Students who do not meet SAP requirements will be ineligible for financial aid. However, you have the right to appeal this decision. Returning students must also complete the Free Application for Federal Student Aid (FAFSA). This important document collects your financial information to determine your eligibility for student financial aid. It will take you about 30 minutes to complete the form. Great news! Part-time students are eligible for financial aid, including scholarships. Part-time students must complete the Free Application for Federal Student Aid (FAFSA). This important document collects your financial information to determine your eligibility for student financial aid. It will take you about 30 minutes to complete the form. More than 150 active military personnel and veterans are students at IU Northwest. We participate in the Post-9/11 GI Bill Yellow Ribbon Program and administer other financial benefits to veterans, those currently serving in the military, as well as their family members and spouses. We also provide financial assistance to those who are interested in military service, through ROTC program scholarships. To learn more, contact the Office of Military and Veteran Services. We are proud to welcome students from all over the world at IU Northwest. International students who are admitted to the university are required to submit documentation that shows sufficient funds are available to cover the estimated cost for education, living and miscellaneous expenses for one year. Questions? Contact the Financial Aid Office or give us a call at 219-980-6778. IU Northwest had everything I was looking for. I wanted small class sizes, professors who were accessible, a great education, and a sense of belonging. IU Northwest had all the things I needed to further my life goals and one day become a physician.